We’ve talked (okay, bragged) about it. We’ve published highlights. We ate all of Aldi to do this. That’s right, you have come to the World’s Most Comprehensive Guide to Aldi Products: Canned Goods. With canned goods- we CAN do this! You might like the chunks of chicken in the Aldi Chicken Noodle. The store brand soup is a little thinner than the Campbell's soup, but we liked the saltier taste of it. 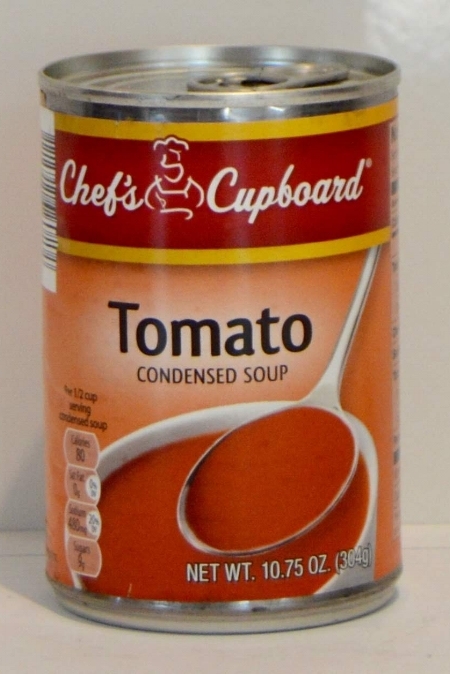 Aldi's tomato soup contains wheat flour, so gluten intolerants should note that. The testers were split on this one. The store brand has a cloudy and saltier broth that adds a little more to the flavor overall. The meatballs also taste a little more processed. Progresso is a heartier soup with a good amount of spinach and bigger carrots. You get a little more with this brand. The store brand has a thinner, watery sauce that tastes sweeter than the name brand. The name brand has more of a tomato taste in the sauce. The name brand also provides a pull-tab making it super easy to open the can. Because the taste is so different from one another, both testers said they would not switch to the store brand.